Today I am going to keep things simple. 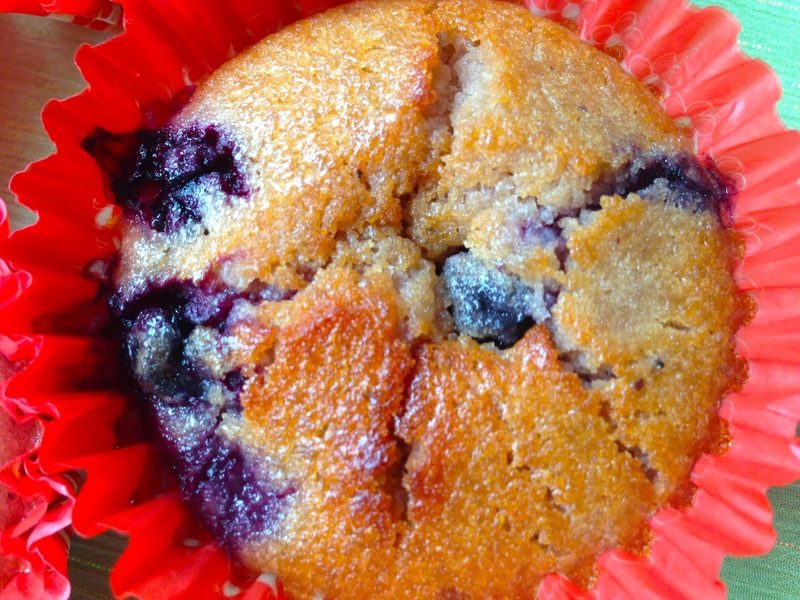 I am not going to write any introduction about these blueberry muffins! 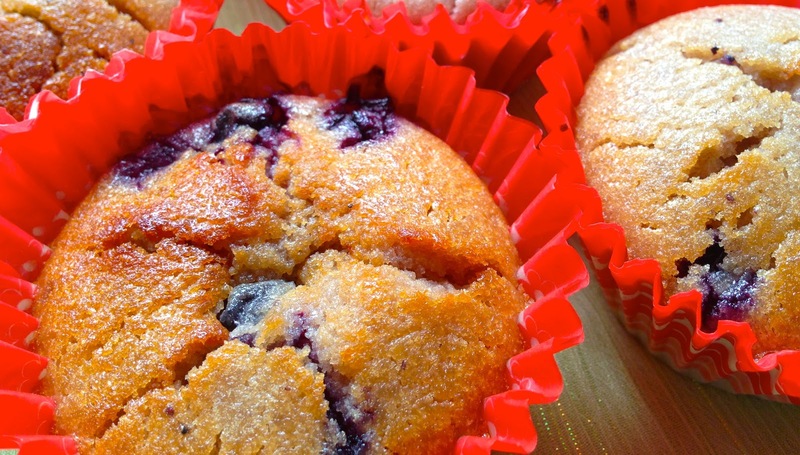 Afterall, who doesn't know about blueberry muffins?? Actually, who doesn't like those? Who!? They are sweet, moist, spongy, with the blueberries giving that tangy extra taste! Maybe, the hardest thing is to wait for them to cool down - you do not want a burnt tongue! They are so hard to resist! Yes, they are! Preheat oven to 190˚C. Line a baking sheet with liners. Begin by creaming butter and sugar with a whisk or hand mixer. In another bowl combine beaten egg, vanilla extract and yogurt. Blend well with whisk. Add the egg mixture to the creamed butter and sugar. Blend well. Finally, throw in the blueberries and incorporate using a spatula or wooden spoon, making sure you avoid bursting the blueberries. Transfer batter to liners using an ice cream scoop or regular spoon. Bake for 18-20 minutes or until a toothpick inserted in the center of the muffin comes out clean. These muffins are moist and spongy, if you're looking for a denser batter, you might want to add another 1/4 cup of self-raising flour. You could be using plain yogurt instead of the blueberry yogurt, but the taste would be rather bland. Another variation is to add blueberry jam. You can flour the blueberries after washing and draining so that they do not sink to the bottom. 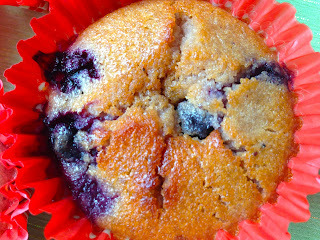 - Add a tablespoon of flour (from the 1/2 cup) to the blueberries before getting on with the recipe.